I think you’re right, Micah. thank you for putting into words the experience I had many years ago when all my plans to enter the Ministry just fell totally apart. Less consciously than you, I realised that up till then it had been about me. But now, with the benefit of much more mature years, I see that I said to myself, yes, of course, it can’t be about me! I have a little axiom: if you’re not finding Jesus’ words revolutionary, challenging and turning your world inside out and upside down – you’re not getting it! You highlight the core and perhaps most difficult part, as you alluded to it : yielding to the Light of Christ even when that light seems dark. However, we are in darkness now and that skews our perception. Jesus says that our world, that we think is sane, rational and the right way up is in fact, nuts and topsy-turvy. But that is how His world will therefore appear to us. We walk into that seeming darkness, where we appear to surrender control, and find eventually that we are walking in Light and have more control than we ever dreamed of – only it’s completely different. What we felt that we MUST control, we cannot anyway, that’s His job (and, of course, He’ll do a much better job that we). We learn what we can do because we become part of Christ and therefore the sky’s the limit. It may not always be happy or even joyful, but that was a part of even Jesus’ experience when He was on Earth (and maybe in some cosmic way still true today, who knows?). But we will receive what we have always been looking for, even ‘though we sometimes didn’t or don’t know it. The older I get, the more I realize that the path isn’t about becoming a better person. It’s about loving: loving the Earth which we have been given and all the inhabitants. Especially the ones we are not drawn to love….those ones we don’t recognize as part of our tribe. with me has to let me lead. You’re not in the driver’s seat; I am. Don’t run from suffering; embrace it. Follow me and I’ll show you how. Self-help is no help at all. Self-sacrifice is the way, my way, to finding yourself, your true self. What kind of deal is it to get everything you want but lose yourself? What could you ever trade your soul for? Micah, I tried to leave a comment earlier, but it disappeared. If this shows up as a duplicate, please delete one of them. Your post reminds me of Alexander Parker’s encounter with George Fox. (It may have been Anthony Pearson, I am not sure which.) The result of this encounter was his comment to a friend in a letter, preserved in the Fells of Swarthmore Hall and in Friends Library, Vol. XI. In this letter, he remarks that his faith was undone even though he felt he had obtained a high pitch in religion, above many of his peers. What he thought was the end of all proved to be the beginning. If this is a genuine experience of being stripped of all resources other than depending upon the Lord alone, then you can trust that He will carry out the work according to the working of His power. Sit under the experience and trust the process. If you look for a feel-good-fix, nothing good will come of it. 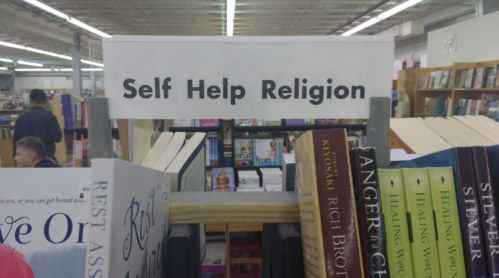 I’ve thought a lot about this idea of religion as “self-help” over the years and it increasingly grates whenever I see it. And, y’know, in various ways Christianity has been little help to me. I haven’t gotten the wealth that some promise, the joy that others promise, the purpose, the glory, the constant feelings of success. The armfuls of greatful followers. But then I’m increasingly less and less believing in this thing that others take for granted. Many seem to think that the purpose of Christianity is the fabled “relationship with Jesus,” where we dance with him in fields of daisies. I just haven’t experienced that, and am not even sure it is something to be desired. We’re taught to be faithful, not to be up or down depending on whether we think God is noticing little old me in any given moment. Faithfulness means doing the right thing even when there is no positive reward. It means continuing even when there is every reason to stop. It means cleaning the metaphorical rooms even when there is nobody to stay, when nobody notices, when there is no reward. Welcome to the world of grown ups. That’s really patronizing, Barbara. I assume you don’t mean this as an insult, but it feels like one. fwiw, I don’t think that these things are to do with your age, how “grown up” you are or how spiritual you are or aren’t. Some of us seem to experience life as a series of failures, and it is natural to feel down about that. I suppose all I’m really trying to say is: don’t give up. Please don’t. You are not alone. This is the world I have lived in for more than a half century. fwiw, there are very few who make this realization before the half-century mark (and most who do have had a far harder life than you), so my statement is NOT an insult but an accolade. OK, Barbara. Thanks for that clarification. I’ll take your earlier comment in the spirit it was given. Sometimes the best way to handle a spiritual problem is to read a Bible passage in which Jesus addresses it specifically, and then let the words resonate in your heart to reveal their significance. You might want to read Luke 17: 5-10. One idea that you’ve stated here stands out for me as needing comment: right living is not about sacrifice; it’s about attending to, heeding your conscience. Sometimes there’s overlap, sometimes not. You see, “sacrifice” is a principle (but a “dead” one), a virtue that you can adopt. Your conscience, however, stands as a living principle and is something you obey, not something you control, like the “dead” principles and values you can adopt. Therefore in listening attentively to your conscience and acting upon its dictates, you practice becoming the servant, not the master. Good point, Patricia. Unfortunately, in my experience I find it very difficult to sort out conscience from self-will. So “dead” principles still have a role to play for me. Alert to Joe: I received your comment through email but was unable to answer it from that location. Please repost your comment, if possible, here in the comment section. Thank you. I did, I’m sorry but it didn’t appear. through transgression were become as a wilderness (Works, I, 87-8). Joe, As your comment was sent to my email but has not yet appeared on this post, I am answering it, nevertheless, because both it and the post bring up the issue of progressive ministrations. This passage from Fox’s Journal lists progressive ministrations that have come through history’s prophets to meet people’s varying immediate needs for standards of righteousness, each standard answers the need for a particular state: some for milk, others for meat. The progress is from an outward standard to an inward standard, from the law to the gospel. The gospel state is the kingdom of God. Reading through this passage you can trace how the standard progresses from outward sacrifice (“the clean beasts, which were figures and types, were offered up”) to inward obedience to the dictates of the conscience (“to bring forth fruits meet for repentance”). Prophets realizing the necessity to meet people where they are, still urge them forward to a more inward standard of righteousness, such as Samuel did when stating clearly: To obey is better than sacrifice, and to heed is better than the fat of rams (1 Sam. 15:22). The danger is that a person will land and situate himself in a particular standard – such as the principle of “sacrifice” – and treat it as a permanent abode rather than a campsite from which he must move on. The Pharisees are the prime example of this, clinging to the Law when a greater one than Moses had appeared. The prophets urge the people of God onward, to greater, perfect righteousness, found only in Christ, the living law, our King. These various ministrations aren’t to be played-off one against another, but to be seen as a necessary progression to provoke us out of our comfort zones and into unity with the Lord our Righteousness. In my Father’s house are many mansions: if it were not so, I would have told you. I go to prepare a place for you. and if I go and prepare a place for you ,I will come again, and receive you unto myself, that where I am, there ye may be also. And whither I go ye know, and the way ye know (Jn. 14: 2-4). The only role of dead principles is to obfuscate the truth. Fox dealt with this very issue: “Therefore stand in the faith of the Lord Jesus Christ . . . and mind him; for he will discover the root of lusts, evil thoughts, and vain imaginations; and how they are begotten, conceived, and bred; and then how they are brought forth, and how every evil member doth work . . . So mind the faith of Christ, and the anointing which is in you, to be taught by it, which will discover all working in you. As he teacheth you, so obey . . . else you will not grow in the faith nor in the life of Christ . . .
And when we were solicitous how to know it [the light and power of life within] from the darkness and deceit within, this answer was given us from the Lord; Its nature will discover itself; it will find out and reprove whatever is reprovable, and furnish the soul with strength against it (Works, IV, 160). I’m in a different place, but similar in the sense that I see my faith changing in my 30’s (I’m 37 and currently turning over all my faith rocks and inspecting them more closely, throwing some things away, and finding other things more precious than ever). I think going deeper into faith can often feel like one is losing ground or walking through thick fog. It’s uncomfortable, I think, because I am moving beyond some of the old teachers, old practices, and old motivations. I think of St. Francis’s distrust of theology and the constant thinking about God rather than living in the presence of God. Sigh…I just finished commenting on another site that I feel myself to be a Catholic Friend. I can’t give up the Mass, the corporate worship that carries me even when I can’t pray, the body of Christ. Yet faith has really been tested. 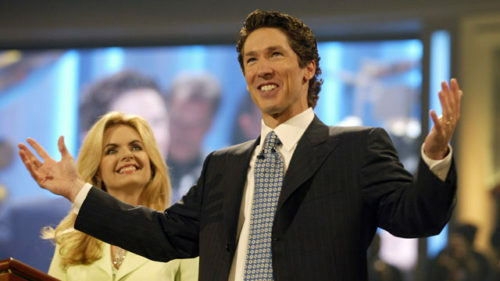 Why are “Christians” so often the mean people? Why does pathology in friends and family often worsen with “conversion”? It doesn’t always adn I hang onto lights of friends lives and my own experiences of God’s love that is so transcendent and I go to Mass, I pray….but when I’m too busy it’s REALLY hard to hear and feel God’s presence. Joe, Your comment was sent to my email but has not yet appeared on this post, but I am, nevertheless, answering it, because both it and this post bring up the issue of progressive ministrations. This passage from Fox’s Journal (quoted above) lists progressive ministrations that have been given through history’s prophets with the intent to meet people’s varying, immediate needs for standards of righteousness, each standard answering the need for a particular state: some for milk, others for meat. The progress is from an outward standard to an inward standard, from the law to the gospel. The gospel state is the kingdom of God. Reading through this passage you can trace how the standard progresses from outward sacrifice (“the clean beasts, which were figures and types, were offered up”) to inward obedience to the dictates of the conscience (“to bring forth fruits meet for repentance”). Prophets realizing the necessity to meet people where they are, still urge them forward to a more inward standard of righteousness, such as Samuel did when stating clearly: “To obey is better than sacrifice, and to heed is better than the fat of rams” (1 Sam. 15:22). In my Father’s house are many mansions: if it were not so, I would have told you. I go to prepare a place for you. and if I go and prepare a place for you, I will come again, and receive you unto myself, that where I am, there ye may be also. And whither I go ye know, and the way ye know (Jn. 14: 2-4). Have you prayed to be filled with the Holy Spirit? Not just at conversion, but recently? Been reading about it in the New Testament and it sounds like you just need a quick refill. With prayers, James. Thanks for sharing your heart, Micah. You’re describing what I feel every believer needs to go through. Some will remain where they are, finding solace and self-help with religion; others will become restless and seek to grow deeper with Jesus. And He is so vast and deep we will never discover all of Him! That’s one of the great joys of the journey! The church (generically speaking) has changed/is changing. It seems willing to compromise on many things in order to be popular, and “feeling good about yourself” is a popular topic. Spirituality has become focused on what is “good for us”—comfort, strength, ointment for our wounds—versus allowing God to get what He wants from us, and coincidentally that turns out to be good for us! To draw a little analogy, I think churches try to fill our cracked cisterns with water drawn by their own leaky buckets from the Source of Life, rather than leading us to the River Himself. Me? I want to learn to stand in the River and be so transformed I can one day breathe underwater! I am the answer. I am the way. I am with you as you write and ruminate. Speak my Name before rationalizing and intellectualizing. Rest in my Name and own who I am. Say me, speak me, and I am there in your conscience and conscious. I am ever Present within you. I am immanent. Just speak my Name … I am … right now … just speak it as you read it. Say … I am … rest in and own who I am. It is in the speaking and calling that I am manifest Light. Lay down rationalizations and simply speak that who I am and I will be upon your conscience and enlighten your conscious and become your living rule and guide. It is in the speaking of my Name … I am … that I am in you and you are in me and I am manifest in all thing and actions. Embrace that which I am by simply calling upon me and I will come upon you and you will come upon me. I speak the Name to you (which we share together) and call upon it in you (in fellowship) that it may be discovered unto to you in increased measure, power and Presence. I own that Name (christened in it) within you as you own it within me. Here is living and ever present religion and fellowship gathered in the Name itself in itself upon our conscience and conscious. I strongly recommend Bernard of Clairvaux’s “On Loving God.” The four degrees of love are an extremely helpful if humbling roadmap. The second is “Loving God for the sake of his blessings.” Low on the totem pole.